Cool - You're 32 Weeks Pregnant! What a Milestone! Home > Your Pregnancy > Pregnancy Week By Week > Cool – You’re 32 Weeks Pregnant! What a Milestone! Cool – You’re 32 Weeks Pregnant! What a Milestone! When you are 32 weeks pregnant, an important milestone has been passed. Of all premature babies being born during this week, 98% survive. 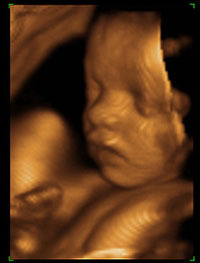 To see what your baby looks like right now, take a moment to watch these fetal development videos. Mom may be feeling big and uncomfortable by now. Your uterus is pushing upwards for a few more weeks. But already at around 36 weeks of pregnancy, first time moms may experience lightning; one of the first signs of labor. The fetal age of your baby is now 30 weeks. Now your baby is getting heavier and weighs around 3.75 to 4 pounds (1.7-2 kg), and the length is about 16.5 inches (42 cm) head to toe. Toenails, fingernails, and hairs are already evident and even quite long for some babies. Your baby is still in a curled-up or shrimp position inside your womb, usually with head down and bottoms up, getting ready for being born. The head should come first to facilitate in easy delivery, and that should be the normal position of your baby at this time. But if not, don’t worry so much, there is still much time for your baby to rotate inside our womb. By full-term, only around five percent remains in a bottoms-down or breech position. To watch some videos of babies being born, click here. The digestive system of your baby sis now fully developed and is ready to go. But as of now, your baby still gets the nourishments she needs through the umbilical cord. More and more fats are now accumulating under your baby’s skin. Your baby now has a beautiful and smooth skin. As for the movements of your baby, you would still feel her kicking and actively moving inside your womb, although the room for doing so is decreasing. If you can’t feel her move that means that she is most probably sleeping or a little while. Your baby’s normal sleep cycle during this stage is only 20 to 40 minutes long. That means it is completely normal if she wakes you up often at night. Exhausting? Yes! At 32 weeks pregnant, you should be gaining about a pound per week now. 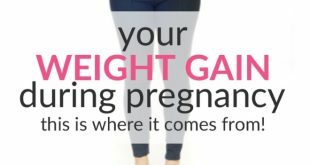 It may seem like a lot, but your baby is increasing in weight fast too. Learn what your weight increase comprises of here. Your uterus is now around 5 inches above your belly button. You are now expected to visit your health care provider for a prenatal check up once every two weeks. It is expected that your blood volume will increase up to 50 percent. That is to compensate for the blood loss during childbirth and to provide an adequate exchange of nutrients in the placenta. This week you will still be experiencing shortness of breath, constipation, and heartburn because the uterus is still increasing in size and is still pushing upwards. And just to remind you, you need high fiber in your diet to relieve constipation and you need to have small frequent meals to manage heartburn. Your body is preparing for childbirth so you can continue experiencing the Braxton Hicks contraction from time to time. As you move closer to your expected date of delivery, you will also notice that these contractions occur more frequently. By now,it might be fun to start preparing for the baby by buying some of the baby stuff needed. You will also need some things for your delivery. Since each medical institution varies, then you have to talk to your health care provider on the things that you need to prepare at this point of time. 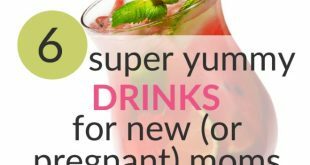 You should know the danger signs of pregnancy that may occur at this point in time. Some of the signs to watch out are dizziness, headache, blurring of vision, puffiness of the face, swelling of the feet, and bloody vaginal discharges. Should these signs appear, go to your health care provider. Have you started to plan for the Big Event, due in about 7 or 8 weeks or so? If not, check out or articles about giving birth here. 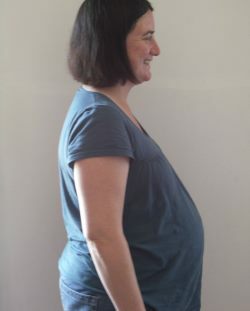 If you haven’t started a prenatal class yet, you really should! 32nd week almost completed; a real milestone! Babies born after week 32 stand much better chances of avoiding injuries from their early entrance into the world. I am very relieved and happy! As for me, I’ve started to gather water in my body; my feet are starting to swell. Are you also 32 weeks pregnant? Please share your experiences and thoughts by leaving a comment below! Pregnancy polls – how is pregnant life for other moms?